Teaching people how to heal from the big and small losses in life. learn skills that Actually Work. But we can’t see the bright side. We don’t want a fish. We don’t need another drink. We want to heal but we don’t know how. Call today to Learn How. how do we help our children cope? You can’t teach your children what you don’t know. how to support the children you care for. The revised program only takes 4 weeks. Some people live their whole lives without ever attending a funeral or walking into a hospital. I’m not one of them. Growing up with a big extended family, I’ve seen how life’s unexpected moments shape us. I spent 20 years studying how people live and love, hurt and heal. 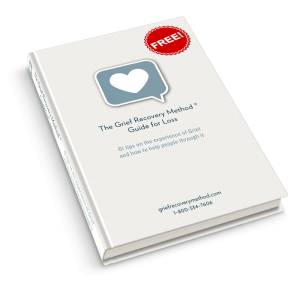 When I discovered the Grief Recovery Method, I saw a lifetime of learning arranged into a tidy, accessible, package. I knew that these were the skills that everyone needs. This is what I teach. What is grief costing your business? People who are hurting, can’t focus. all negatively effect your bottom line. a healthy staff, boosts your bottom line. A healthy workforce is possible. to see what Grief Recovery can do for your Business. Download this valuable eBook for FREE. The best grief definition anywhere. Typical responses associated with grief. How to know if you’re incomplete with a loss. Reasons why The Five Stages of Grief are a myth. Plus 50 other nuggets of practical wisdom about grief. The Grief Recovery Method has Steps that you can take to heal from the big and small disappointments in life. In group sessions, classes of of up to 15 people meet for 2 hours a week, for 8 weeks. Step-by-step you will learn what actions are required for healing. You will have an opportunity to talk privately about your own pain and you will hear others talk about theirs. You will see that all of us hurt and most of us were misinformed about what to do about it. You will learn why the things you were taught about pain and grief haven’t been working for you. Together we will work through the Grief Recovery Method until you have cleared up, one painful situation in your life. You will learn skills that really work and you will walk away with the experience to do it again, any time you feel pain. By participating in group work, you will have the added benefit of connecting with others who understand the process and can support you in years to come. If you cannot attend group sessions, one-on-one mentoring is available. Using the same Grief Recovery Handbook we will work our way through the Method in seven, one-hour sessions. The work is exactly the same.